An engineering psychologist works to understand human behavior and the extents to which people can adapt and adjust to various systems. The field of engineering psychology looks at ways that technological equipment and work places can be improved or adapted upon in order to enhance human results. Ergonomics guides a great deal of this study. This branch of psychology began as an offshoot of experimental psychology and saw growth during World War I and World War II. It is highly relevant in today’s world, as people are so engaged with technology and electronic equipment for both work and personal purposes. Engineering psychologists take a practical approach to psychology in working toward solutions facing people in their daily lives. They play a role in minimizing errors and accidents on the job, essentially making workplaces, products and systems safer. These professionals work to improve products such as medical equipment, aviation systems, vehicles, military equipment, GPS systems and mobile phones through design improvements. Specializations within the field exist; these include education and training, aerospace, healthcare system, technology and design, ergonomics and human performance, among others. 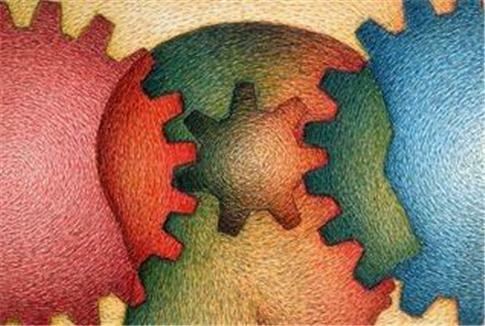 A great deal of the job of an engineering psychologist involves observation and analysis. Engineering psychologists analyze the interactions between people and technology equipment. They may study accidents that have occurred in the workplace in order to designs ways to prevent them from happening in the future. They can conduct focus groups to gain insight into preferences and needs for future product designs, as well as to learn population preferences. They can discover ways to make equipment more adaptable and usable for those with disabilities. Also, they often design products to minimize human errors, leading to better safety results. There are numerous other things that fall under the duties of engineering psychologists, depending upon specialization and need. These are simply some examples. Training and education requirements will vary depending upon specialty area, but a Master’s degree is necessary. Those with doctoral degrees will likely make more and expand their career opportunities. There are graduate programs that specialize in engineering psychology. Coursework you can anticipate includes such topics as engineering, perception, cognition, learning, research methods and statistics, among others. Again, there are many factors that go into determining what engineering psychologists can expect to earn. Things such as specialization, geographic region, education and experience come into play. Entry level professionals in the field can expect between $48,000 and $75, 367 with a Master’s degree. Most engineering psychology jobs are in the private sector. Thus, their growth depends on that of the performance of each private company. However, those in the field can probably expect to see an increase in jobs as employers are beginning to see the benefits of the work these professionals do. For those with a strong anlytical mind, good spatial skills and an affinity for problem solving, engineering psychology may be a top career choice. Though much of the work is done behind the scenes, an engineering psychologist does play an important role in the everyday lives of people.